Through the outer wall at the left-hand gate the visitor sees this passageway and takes it to the main part of the palace. 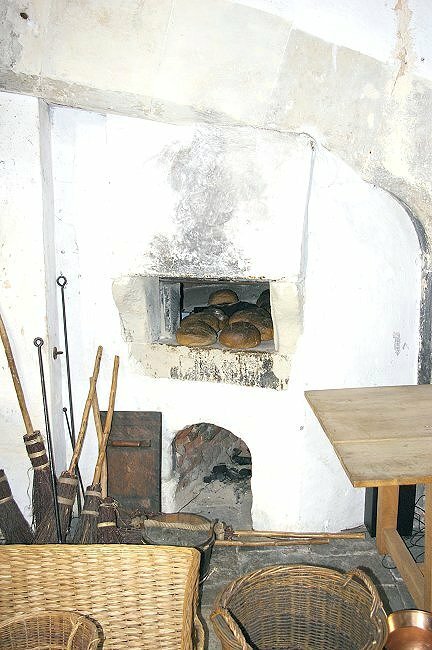 A bread oven in one of the kitchens, The guests and staff would have consumed a considerable amount of bread. 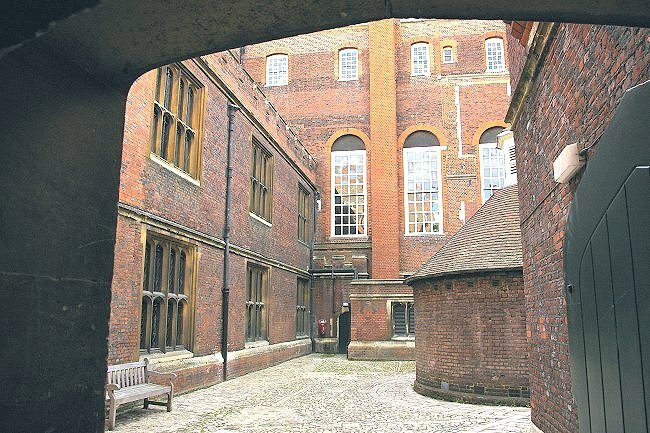 Between the years 1532 and 1535 Henry VIII added the Great Hall and the Royal Tennis Court. 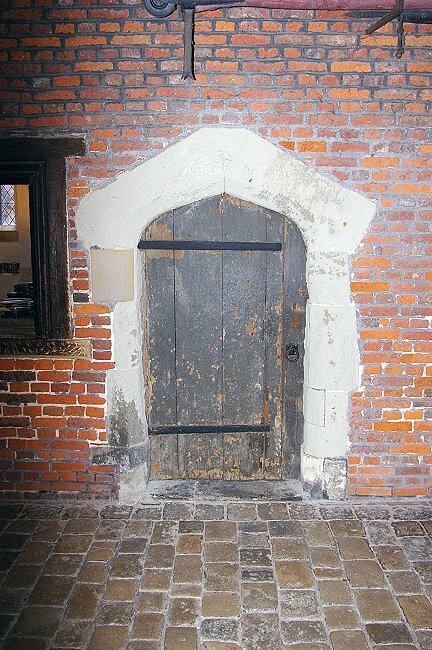 The Great Hall was the last of its type constructed for the English monarchy. It features a carved hammer-beam roof. 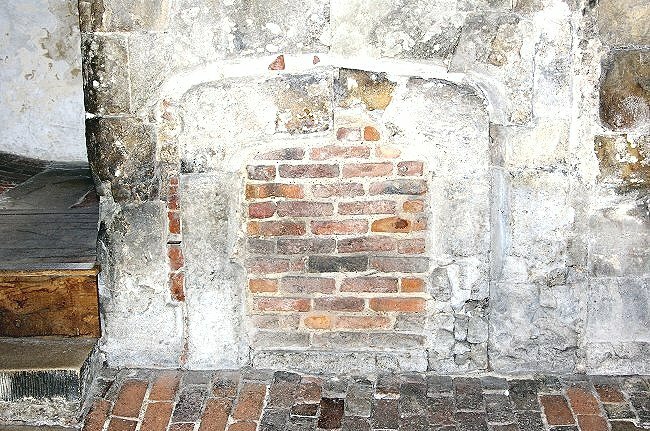 This bricked up fireplace is testimony to the various building and re-building work that has taken place at Hampton Court Palace over the centuries. Another kitchen fireplace. 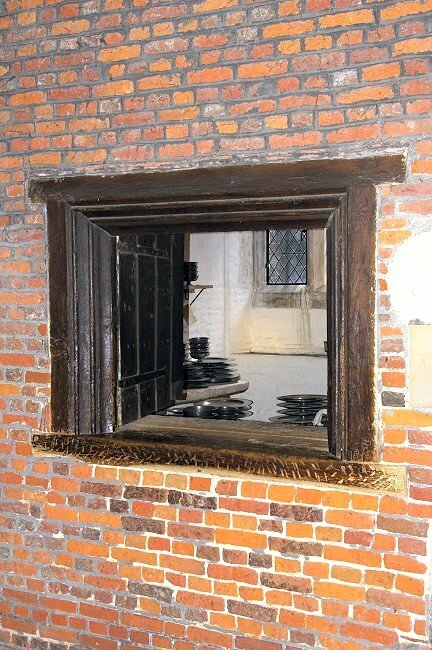 The kitchens were designed to have capacity to provide food for 1,000 guests and staff. Jane Seymour was King Henry VIII's third wife. She was born in 1508 or 1509 to John Seymour and Margery Wentworth. 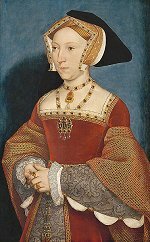 The marriage took place on 20th May 1536 (the day after the execution of Henry's previous wife). 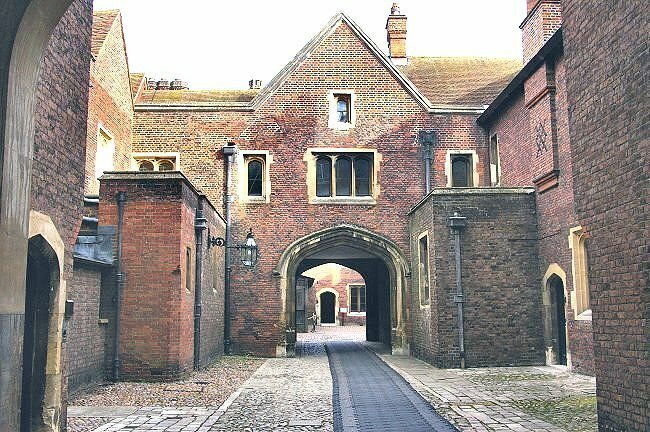 Jane died at Hampton Court Palace on 24th October 1537 from complications following childbirth. A rather old doorway to one of the kitchens, caught in the glare of a flash gun. September 2008. 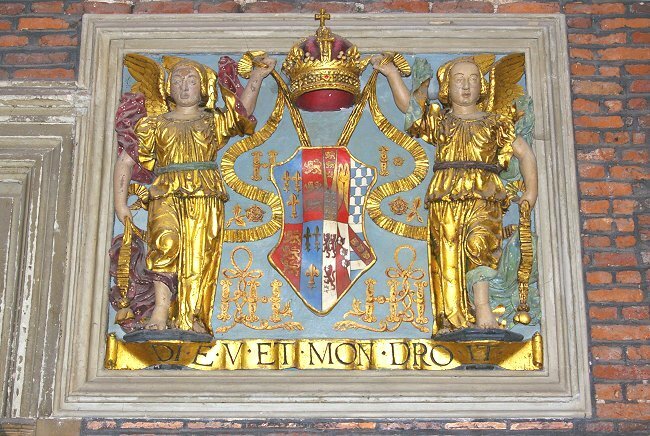 When the Duke of Württemberg visited Hampton Court Palace in 1592 he said it was "the most splendid and most magnificent royal edifice to be found in England, or for that matter in other countries". View through the window beside the door in the last picture. Many pewter plates are on view. 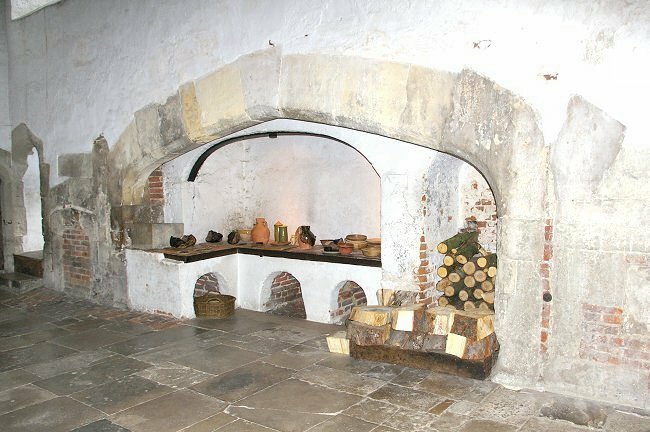 View along one of the dark corridors between the kitchens and the main area of the palace. 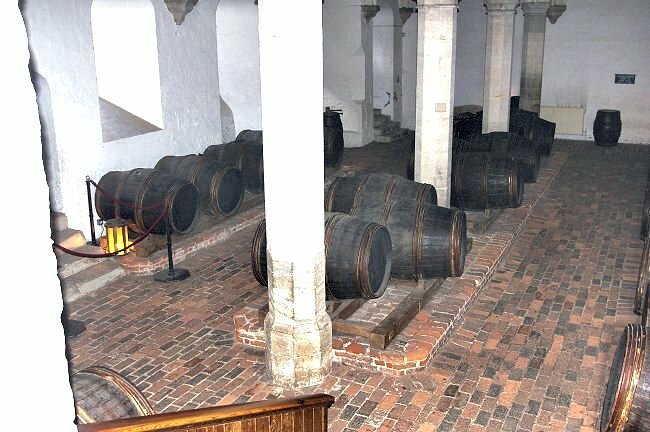 View down into the beer cellar. 28th September 2008. A courtyard scene. 29th September 2008. 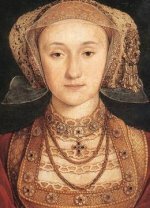 Anne of Cleves was King Henry VIII's fourth wife. She was born as Anna von Jülich-Kleve-Berg on 22nd September 1515 in Düsseldorf to John III, Duke of Cleves and Mary, Duchess of Jülich-Berg. 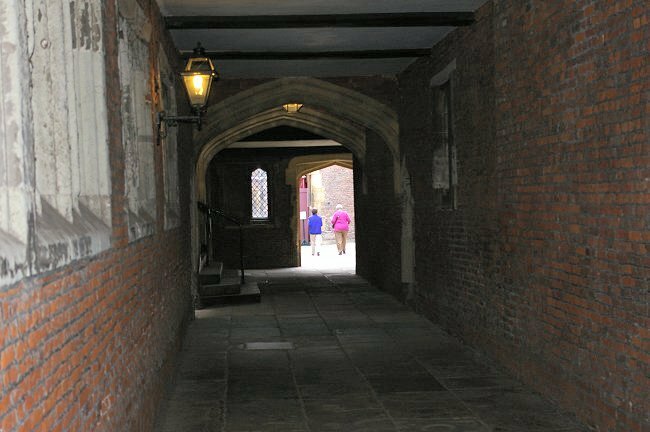 The marriage took place on 6th January 1540 at the royal Palace of Placentia in Greenwich. The marriage was not consummated and was annulled on 9th July 1540. 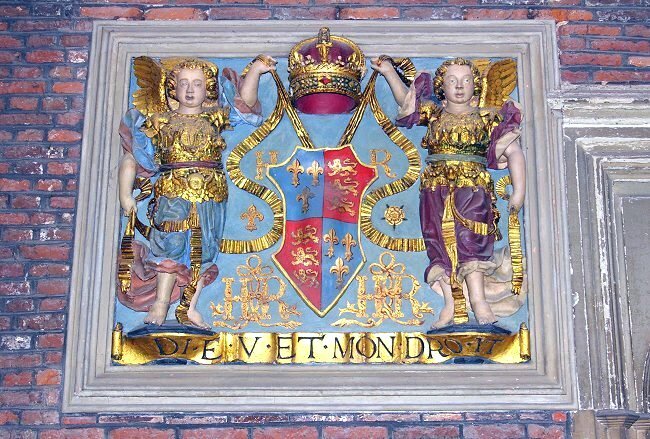 Anne died at Hever Castle on 16th July 1557. One of the reliefs along a main corridor. 29th September 2008. King James VI of Scotland became King James I of England. He used Hampton Court Palace as a centre of entertainment, staging banquets, plays, and dances. One of his guests was William Shakespeare. Another of the wall-mounted reliefs.. 29th September 2008.